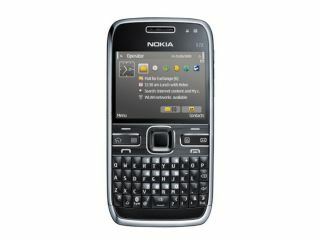 Nokia has announced the successor to the popular E71 – the E72 – has gone on sale as a pre-order. Currently only available on its website, the phone will cost you £359, although there's no word on an exact release date as yet. This is an interesting case as it was announced back in June as costing only £300, meaning something has happened in the intervening period to hike the price up. And despite Nokia stating it's only available for pre-order on its website, Amazon US is offering it too, for only $469 (£295). Admittedly, it won't work over here in the UK, so it's not the most useful device, but still it's frustrating to note our international cousins get better deals on the latest mobile phones. But it's a pretty decent model for a business-centric phone, with a 5MP camera (with flash), a 3.5mm headphone jack (unlike the pretty pointless 2.5mm one on the E71) and an optical trackpad for easier scrolling through messages.